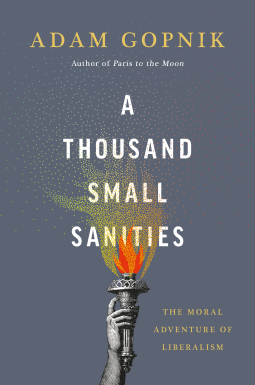 A Thousand Small Sanities is a manifesto rooted in the lives of people who invented and extended the liberal tradition. Taking us from Montaigne to Mill, and from Middlemarch to the civil rights movement, Adam Gopnik argues that liberalism is not a form of centrism, nor simply another word for free markets, nor merely a term denoting a set of rights. It is something far more ambitious: the search for radical change by humane measures. Gopnik shows us why liberalism is one of the great moral adventures in human history--and why, in an age of autocracy, our lives may depend on its continuation.